This interview can help you understand the economic realities of starting a cannabis business. Before migrating to the cannabis industry Amanda Ostrowitz J.D., worked as a regulator. In fact, her last job before co-founding her own marijuana company was at the Federal Reserve Bank of Kansas City. A few years ago, Ostrowitz decided to leave the banking industry to focus on the cannabis space, founding a tech company that offers a marijuana-focused legal research platform, CannaRegs. 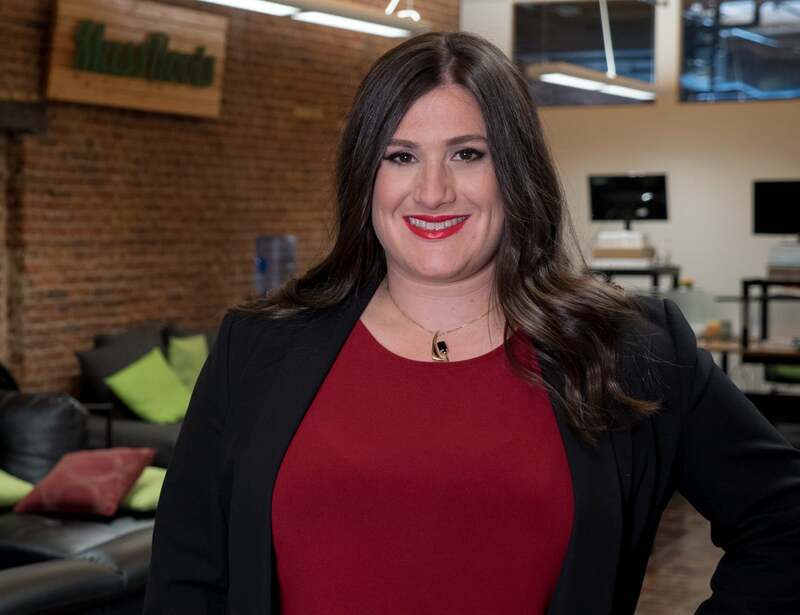 In just a few years, her bootstrapped business grew to become a multi-million dollar firm, sought after some of the largest publicly traded cannabis companies out there. Ostrowitz was recently a guest on Wonder Women Of Weed, a periodical show and column featuring accomplished female leaders in the cannabis industry. At one point, we (co-hosts Javier Hasse and Adelia Carillo) decided to ask her about the main challenges cannabis businesses come across as they scale. Challenges change constantly. As soon as one gets resolved, the next one pops up, the entrepreneur explained. "I say if I go a week and nothing new (or no new problem) hits, then I must not have done anything that week. Anything you think, as a regular business person, would take you one day to do; give yourself three, because you are going to come into some new obstacles," she said. Scaling is a lot about giving up control. But, growing is also about taking calculated risks. Even though hiring two new employees could help you make more money, are you ready to expand your workforce? Can you afford it? This does not mean that you won't make mistakes because, believe us, you will. However, assessing the risk and potential reward of each move will help you minimize the bad decisions. As you might be well aware, the cannabis industry faces considerable challenges related to banking. While some of the regular banking services (like checking accounts) are available for marijuana businesses, the herb's federal illegality makes access to other services, like credit card payments processing, pretty hard. Surprisingly, limitations apply not only to plant-touching businesses like cultivators or retailers, but also to ancillary services firms. "I'm the bank girl, the former regulator," Ostrowitz said, pointing out that CannaRegs never touches the plant. "But, we're still having banking issues," she added. "Our bank is wonderful as far as conventional banking goes, but merchant services have been extremely challenging for us lately. We take credit cards from clients and run them monthly and our merchant services provider cut us off . . . We have enough money coming in each month to pay everyone, but my challenge this week is to figure out how to get it into the bank." "I've learned that I can get anything done if I put my head to it and find the right people. But also, what I've learned is you can't take someone who's not passionate about what you're doing and teach them to be passionate about it," Ostrowitz said, responding to our final question about the biggest lesson she'd learned in her years as an entrepreneur. "You really sometimes have to be okay moving on and building new staff, even when that feels like a painful thing." But don't worry. She concluded that training new staff and adding new people to your team is always exciting and will bring new life to your organization. Check out the full interview in the video, produced in collaboration by Benzinga, Industry Power Women and Direct Cannabis Network. Find more advice on how to scale a cannabis business in Entrepreneur Media's upcoming book, Start Your Own Cannabis Business, available for pre-order on Amazon.